I had so much fun with this set! The last few transmog sets have felt like a bit of a struggle so it was a relief to get one that came together easily. 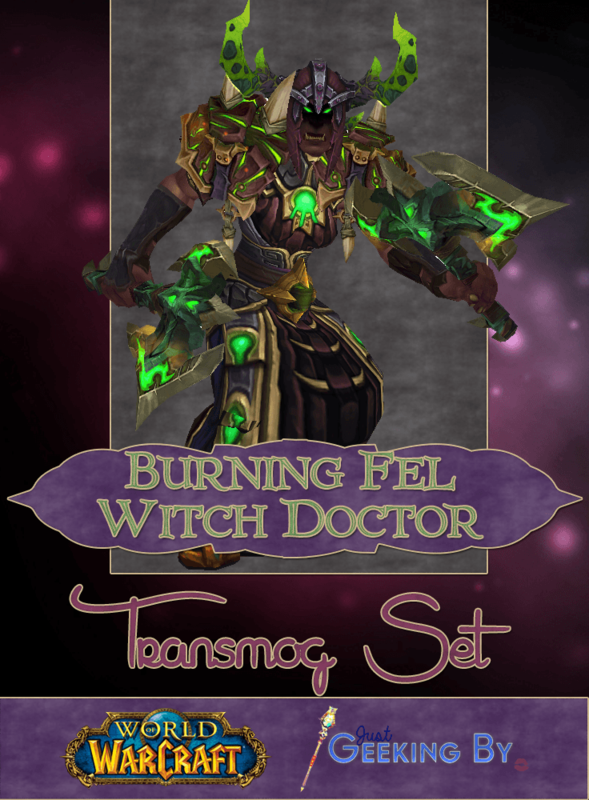 The Burning Fel Witch Doctor set ending up being a kind of what-if set; what would happen if a Shaman ever became infused with Fel? 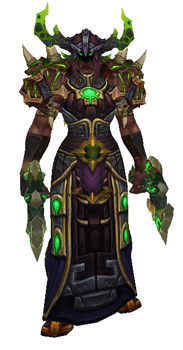 Much like the dark shamans we saw in Siege of Orgrimmar this set is much darker than the usual shaman sets and is based around hues of deep red and fel green. I started with the head piece (item) from The Nighthold and then matched the colours with the chest piece, another Shaman tier; item. From there it was all about finding other pieces that fit in with the idea of a dark fel tinged Shaman, and I kept it simple with plain gloves and boots again. 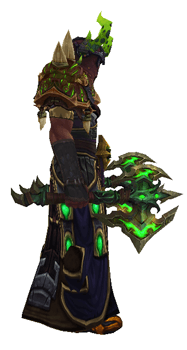 The belt is just a random green that blends in with the chest piece nicely. 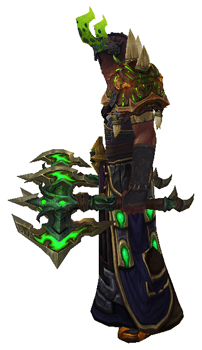 For the weapons I chose to dual wield the gorgeous item, a fel flamed axe that seemed fitting for this dark shaman. Image Credits: Texture from Baira.